As we continue to create our lives through the power of true community, the "journey is the destination" takes on new meaning. For it is cradled in the arms of our people, our tribe that we open ourselves to the presence of divine love. God and Goddess is in the people. Never is that more apparent than when we live our life surrounded by our soul group. Living in true community means much more than just friendship, it means that we are experiencing the divine through our relationship to everything in our field of awareness. And as this awareness increases, the gratitude and appreciation that we have for each other, the earth and nature, our inventions and technology, and all of our heavenly counterparts draws us ever nearer to our creator and the reality of our own magnificence. Our community provides a stable container to create, invent, relate, grow, heal, transform and love like never before! And finally we come to the nucleus of our own souls and step into our higher self and into our destiny. We realize that we are actually doing it - We are bringing heaven to earth. And it is in that moment of clarity and largesse of Spirit that we understand that we ARE sacred, divine love in the flesh. And this love has crept upon us, sneeking right into our way of life, inch by inch, guiding and directing us to some unimaginable joy. And we are made whole. I recognizes the power of the divine feminine within me. I see the hidden beauty of the Goddess at work in the world. 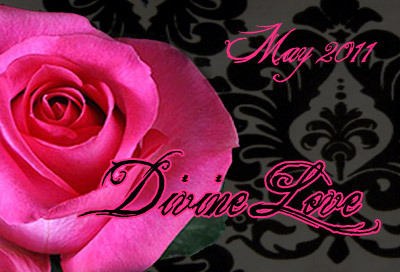 The Divine Feminine is love and is the container for love. The perfection of Mother Father God moves through me, guiding and protecting. I am moved by the beauty of the soul's expression. I am guided moment by moment through the power of love. I acknowledge the burdens of my ancestors and heal the past, present and future. I clear the path for the complete realization of the perfection of my soul. I embrace my destiny and create my life in joy. I see all through the eyes of my Higher Self. I embrace the desire to receive in order to share. My empowerment is key to someone else's success. I experience the divine in all things. There is no separation of human and divine. I am the manifestation of the intention of the creator God within me, my lineage and the creator. I remain eternally connected to source energy. I go to the source for renewal and restoration. I consciously bring Light into my being. I meditate and energize my cells with the Light. I magnetize only good into my life. It is time to release myself from the karmic path of suffering. I surrender to my soul and to my higher self. I have compassion and deep respect for myself and others. I am filled with grace and gratitude for all creation.